As we left Thailand, the first Asian country in our trip, we reflected on its economically developed nature and heavy tourism. We understood why people call the country ‘Asia Lite’: While it’s stunningly beautiful, it’s also a relatively westernized one. And although this made it super easy to travel around (Burger Kings, McDonalds, Pizza Huts and KFCs were easy to find), we were left longing for a truer “Asian experience.” Something a bit more… adventurous. Cambodia was just what we were looking for. In fact, this country—more than any other in our trip—changed both our lives forever. 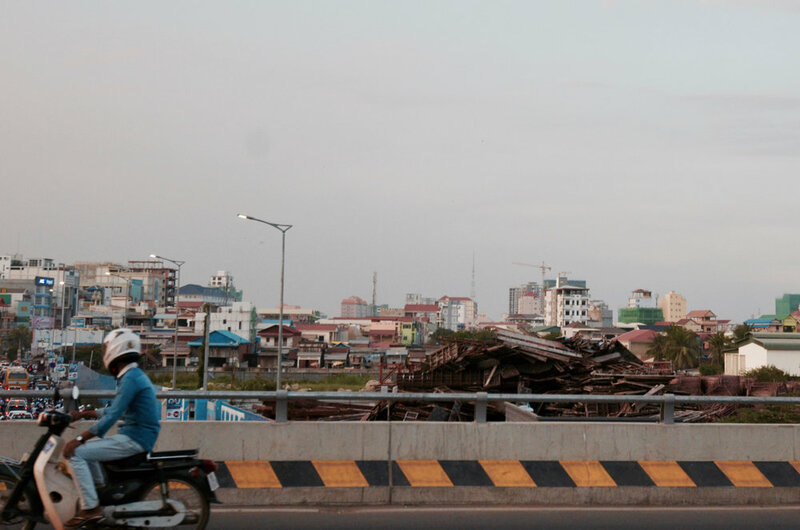 We stepped out of the airport in Phnom Penh, the capital of Cambodia and were instantly hit with the incessant buzz of urban Cambodian life. We were overwhelmed—the city was loud, the streets were dirty, there were thousands of motorbikes weaving in and out somehow making due without traffic lights. The place looked so different, so foreign. It was the closest we came in our entire trip to an instant culture shock. We were excited to be in a country that seemed so different from back home. 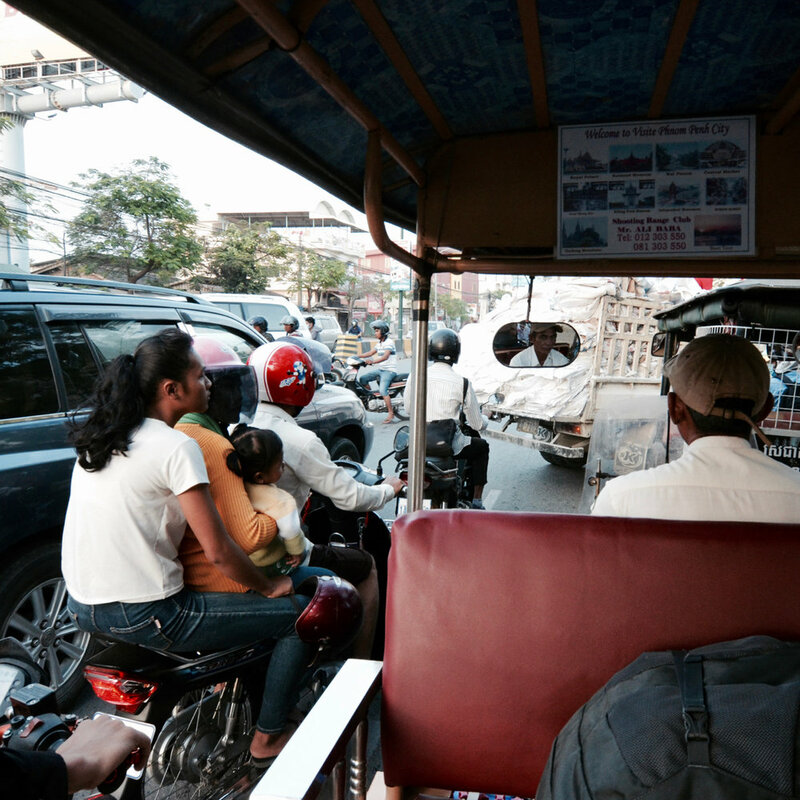 Cambodia offered what we had imagined South East Asia would be like. In our three weeks there we learned it was a place that serves a taste of a simpler life, full of ancient treasures and beautiful people. Before you read on, we wrote an entire post about our visit to the incredible Cambodian Children’s Fund, which you can find here. Us westerners tend to have a pretty euro-centric perspective on world history and affairs. It’s somewhat mind-blowing when we realize that during much of history, while Europe and the Americas were in cultural and economic shambles, fending off invaders and diseases, the East was exploding in both population and cultural richness. During much of history, civilization was best exemplified by the East, not the West. Such was the case of the Khmer Empire, which reigned supreme on South East Asia for over 700 years, constantly rivaling the Chinese, Japanese and Thai kingdoms for dominance of trade routes and military might. 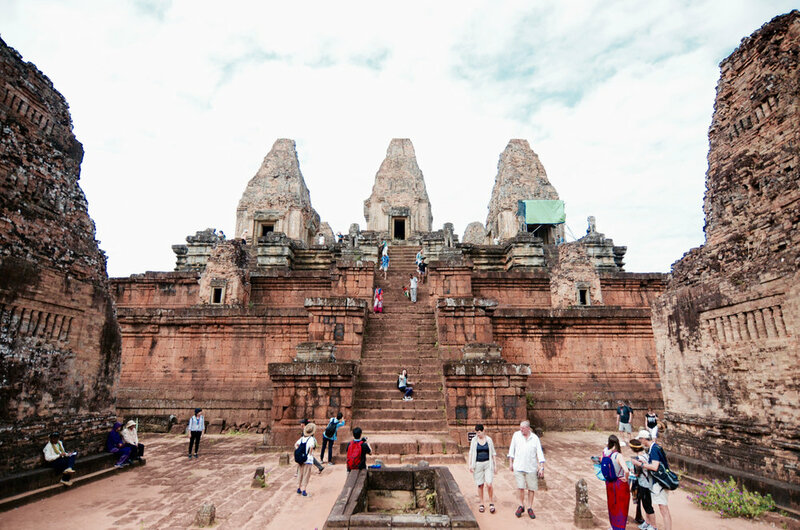 The city of Angkor was once its capital, housing over 1 million inhabitants and spectacular buildings spread out in a city the size of Manhattan. Today all that remains are the stone ruins of the once-lost temples that were abandoned and forgotten by the 17th century, then rediscovered by the French in the late 19th. This place is deservedly classified as one of the 7 Wonders of the Ancient World, and was one of the Top 3 “must-see” destinations we had noted before we began our trip. The Angkor complex is so large we spent three whole days wandering around these wondrous temples, being constantly awed by their majesty and uniqueness. Consider that some temples had been built hundreds of years apart, so each temple had something new and different to offer. Some served as residences, some as temples of worship and some as universities of study. And interestingly, while most are being restored to their former glory, the discoverers had the clarity of mind to keep just a couple of them in the same shape they were found in the 19th century—rocky, with ingrown vegetation and massive trees. Think “Tomb Raider”. As for the rest, we like to imagine the intense lego jiu-jitsu that had to place to put those thousands of felled rocks back in the exact same place. As we lay on the soft jungle floor, we looked around. Above, thin, tall trees swaying with the wind, scratching the blue sky. Below, tiny ants, geckos and other critters crawling under leaves on the soft, reddish-brown sand. 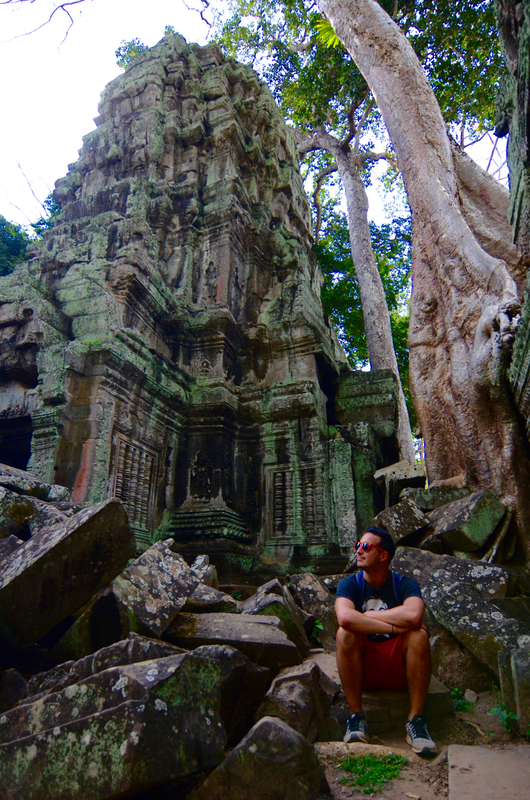 To our left, an abandoned 1,000-year Khmer temple forgotten through the ages, with lush vegetation growing around it. To our right, about 15 young travelers joining us to practice yoga in this magical setting. How did we get here? Over the past couple of years, both of us had tried and failed to incorporate some form of yoga and meditation into our morning routines. Yoga is good for strength and flexibility, while meditation helped us live life more in-the-moment, increasing our creativity and reducing our anxiety. We had practiced on and off and loved how these practices made us feel, but like many things… life just got in the way, and our routines would fall by the wayside. In fact, before we left on the trip Jenn had committed to making yoga and meditation a part of her morning routine once and for all. She figured, no commitments and we set our own schedule… how on Earth could it fail? Flash forward to January, 5+ months into our trip, and she had failed to do so consistently. No matter what, there would always be an excuse not to do something. 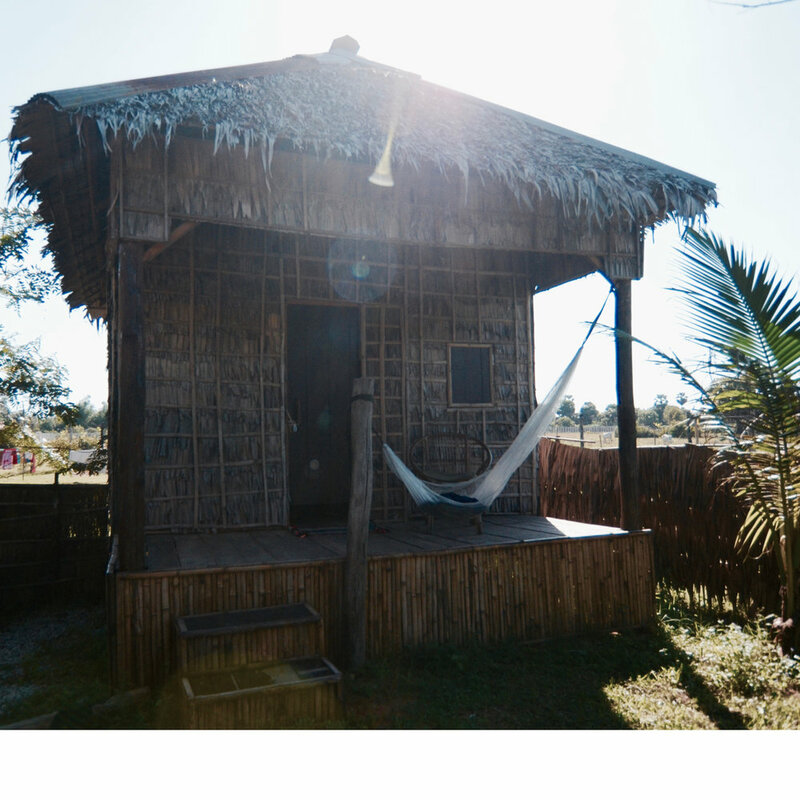 In light of that failure, our continued desire to make it a part of our lives, and impending end of our trip, we thought it’d be a great idea to do a yoga and meditation retreat while in South East Asia. So we scheduled a 6 day, 5 night retreat at a place called Hariharalaya just outside of Siem Reap, Cambodia. 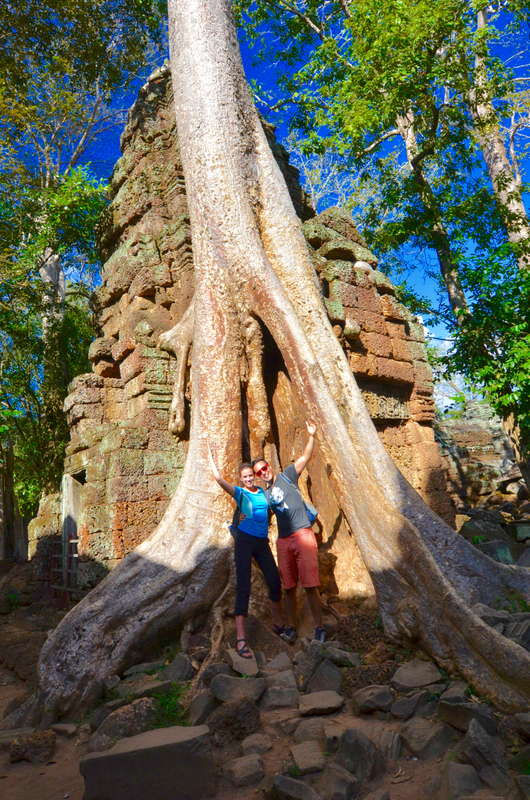 On day one we were picked up from Siem Reap with a group of 25 other aspiring yogis from around the world. We tuk tuk’ed into a refreshingly rural part of town and were greeted with snacks and cucumber water by Hariharalaya’s crew of experienced yoga and meditation instructors. Spilling out over several acres surrounding the hall were the most perfectly mindful retreat spaces: an open-air yoga hall, a library, reading/meditation areas, an open air cinema, a pool with lounge chairs, hammocks tucked into quiet corners, a juice bar, a rock climbing wall, an outdoor gym, an art and music space, and a dozen thatched roof bungalows that would serve as our homes for the week. The daily routine consisted of three vegan meals a day plus 3 hours of daily yoga and meditation, split into a morning session and an evening session. 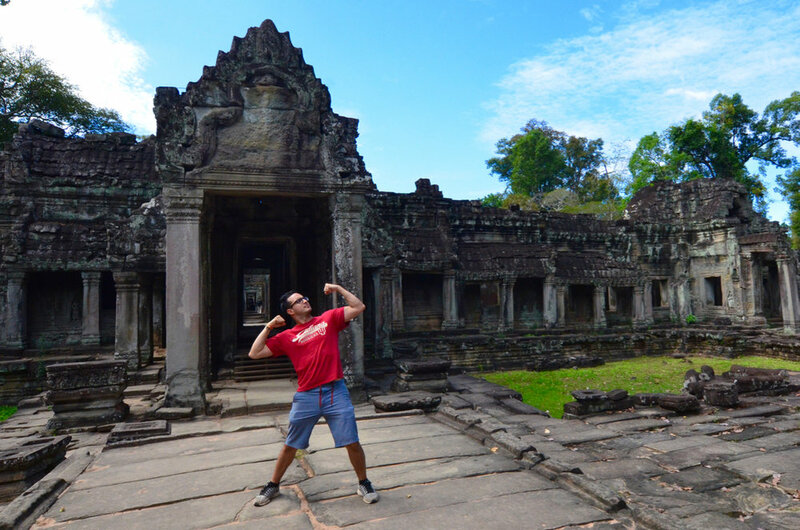 Then, throughout the week several odd (but oddly fun) activities were scheduled: an ecstatic dance night (think ‘dancing-like-no-one-is-watching’ to strobe lights and techno music) and a trip to an ancient temple where we did yoga and had a picnic. The rest of the time was free to do whatever you liked—reading, swimming, biking around the village, writing, painting or playing music… anything that didn’t require a device. After all, the retreat required a digital detox, so no electronics were allowed at any time. This flexibility allowed each to make of the retreat exactly what they needed. Jenn spent lots of time reading, thinking and writing, relishing the quiet space to gather her thoughts on life after the trip. 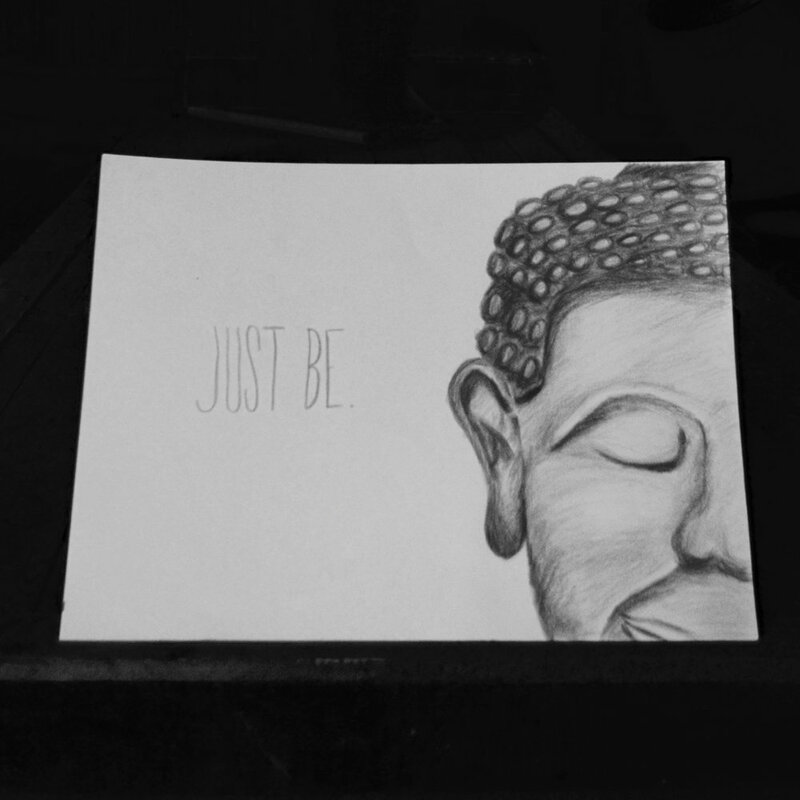 Rolando used the retreat to recapture his creative side, sketching and playing the guitar, realizing he needs to make time for creative expression in daily life. Throughout the week we connected with the other participants, lovely people from around the world who were each on their own journey and had a unique perspective to share. We left the retreat refreshed and energized for 2017. And as of this writing, Jenn has successfully added yoga and meditation to her routine every single day since the retreat! Years ago when this round the world trip was just a twinkle in Rolando’s eye, we watched a young Anthony Bourdain (celebrity chef w/ multiple TV shows) traverse Cambodia tasting all types of strange Cambodian delicacies. One part of the episode that stuck with us was the scene where he and his crew buzzed around rural Cambodia at high speeds on nothing but a bamboo raft. Rolando and I looked at each other and in that moment knew that raft would be part of our adventure some day. 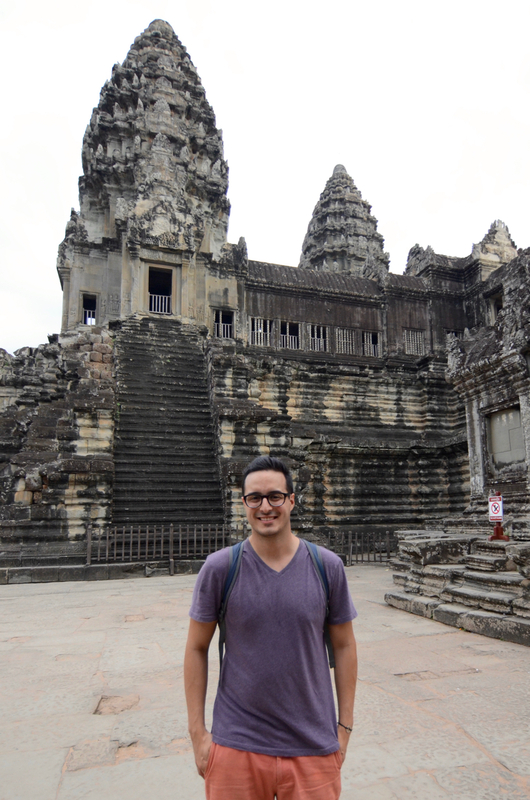 The memory bubbled to the surface as we began planning our Cambodian itinerary in earnest a couple months ago. Long story short… We made it happen, as you can see in the video above! So how, you may ask, did such a unique form of transportation come to be? When the old trains originally installed by the French stopped working, many villagers around Battambang Cambodia were left without a form of transportation to and from the city. Undeterred, the villagers created wheeled bamboo rafts which they pushed along the railway with a tall bamboo reed. Years later they opted for a quicker and easier solution, attaching a motorcycle motor to the raft. The only problem? There was only one track, but two directions of traffic. A set of rules was created to avoid collision: whoever has the fewest people has to step off his raft, disassemble the whole thing, let the other guy through and then reassemble to keep going. Today, as better roads are being built and rumors of the Cambodian government seeking to fix the tracks and install a proper train, the famous bamboo rail may come to an end. We’re just glad we got to ride it while we could! 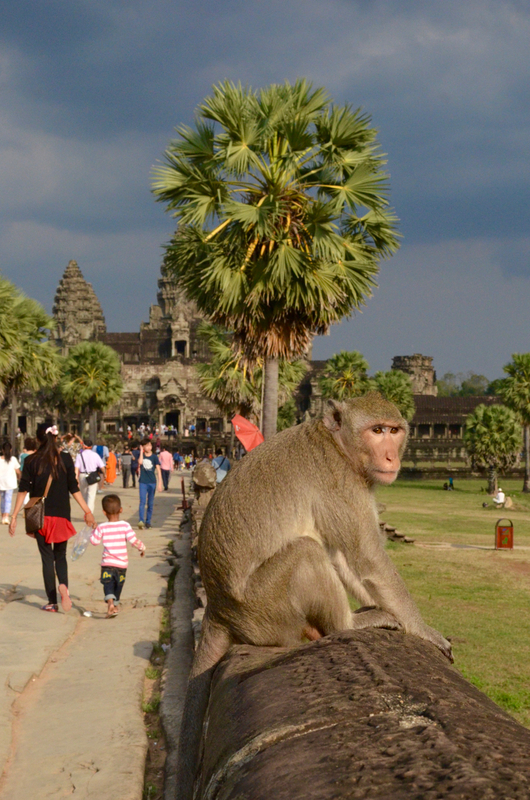 Not long after we arrived in Cambodia, a fellow traveler challenged us. He said "Look around. As you get around, see if you can spot a local who looks older than 60." Remarkably, it was almost impossible. 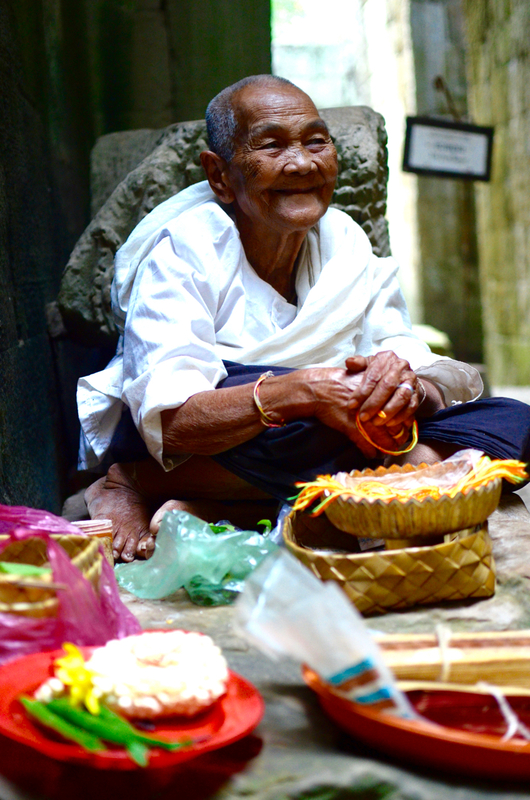 Days would go by as we traveled around the country, and sightings of older Cambodians—particularly men—were rare and far between. Little by little, we learned the horrific reason why this was the case: the 1975 Cambodian genocide, in which nearly 2 million people died. If you’re like most westerners (us included), you likely know little if anything about this terrible (and relatively recent) event. One of the first lessons came as we walked through the gates of Tuol Sleng. At first it looked like a regular middle school—an open courtyard with green grass and trees surrounded by buildings full of classrooms. Then we saw the 10-foot wall covered in barbed wire and noticed the ghostly quiet in the air. Inside the “classrooms” were torture devices, metal bed frames, thousands of black and white photos of hopeless faces. 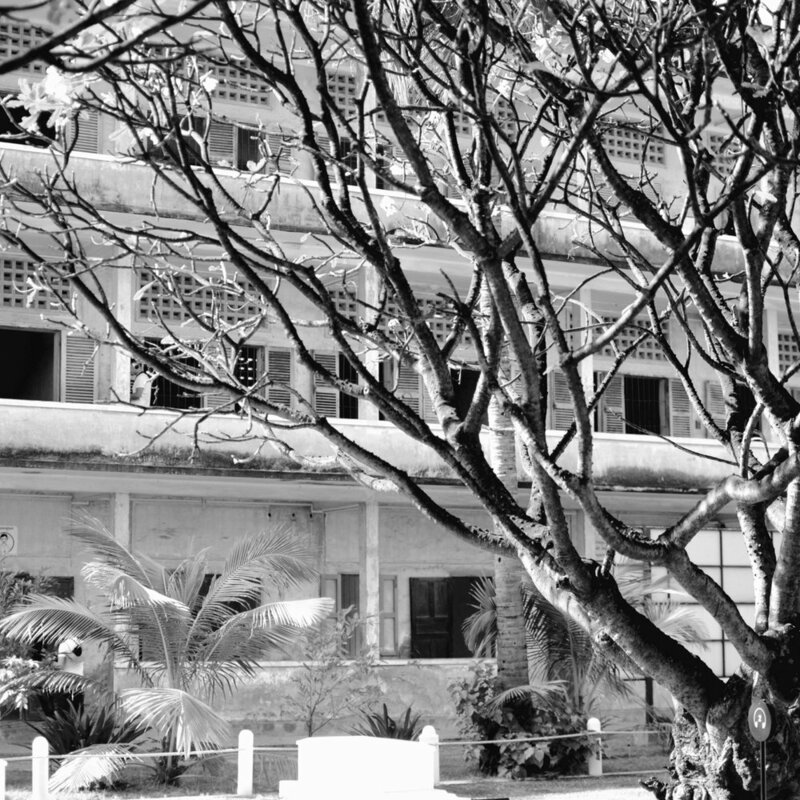 It turned out this school was once turned into a place of torture and death under the hands of the Khmer Rouge, also known as “The Organization”, a mere 40 years ago, in one of the worst genocides in modern history. A short primer on the conflict: The unrest in Cambodia had its roots in the Vietnam War (or the “American War,” as it’s known there). During the war, the United States carried out what’s known as the ‘Secret War’—they bombed Viet Cong supply routes that ran through rural Cambodia and Laos. In just four years, the US dropped more than 2.7 million tons of bombs in Cambodia, exceeding the amount used during WWII and killing as many as 500,000 Cambodian civilians. Hundreds of thousands of others were driven from their farmland and into the cities to escape the horror. A fringe political group of the 1970’s, the Khmer Rouge, propagandized the bombing, saying a change in regime was needed to help the country recover. They gained great support and were initially welcomed into Phnom Penh as liberators as they overthrew the Cambodian government on April 17th, 1975. It soon became clear though that the leader of the Khmer Rouge, Pol Pot, had an eerie vision for Cambodian society. Influenced by Mao and Marx, Pol Pot believed he needed to “purify" the country, starting over at Year Zero and immediately reinstating a fully agrarian society. He abolished money, education, private property, free markets, religion, and cultural traditions. He destroyed schools, churches, temples, government buildings and cultural relics. Within days he forced millions of people out of the cities and into the country, and made them work in fields growing rice under harsh conditions, limiting their rights and freedoms. To further purify the country the Khmer Rouge arrested, tortured and killed those they believed were “impure." This included the old government regime, military and practically all college-educated citizens. Even wearing glasses or having soft hands was a signal to the Khmer Rouge that you were of high society, which could get you killed. Those arrested were taken to prisons and concentration camps, which included Tuol Sleng (the aforementioned converted high school). People were held and tortured for months in the most deplorable of conditions. When the Khmer Rouge decided it was time, those prisoners were taken to one of the hundreds of ‘Killing Fields’, bludgeoned to death and thrown in a mass grave. Of the 14,000 people who were taken into Tuol Sleng, only 12 survived. Tuol Seng was just one of many prisons set up by the Khmer Rouge. In time, they became more and more paranoid, arresting thousands of people without cause each month. By the end, they were turning on themselves, arresting and executing some of their top brass. The Pol Pot regime came to an end when the Vietnamese invaded and took Phnom Penh in 1979. In the 4-year period of the Khmer Rouge, over 2 million people were killed. That was over 25% of Cambodia’s population. Add to that deaths from bombings, famine, war, and rebellion and an estimated 4 million people died in Cambodia between 1970 and 1980. Take that in for a minute… 50% of a country's population was completely obliterated. Each and every one who survived has a story. 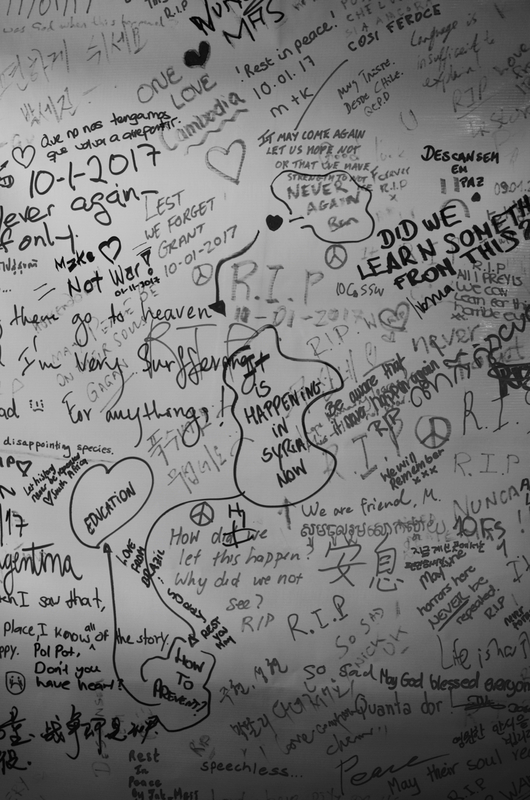 They lost a parent, a grandparent, a brother, their entire family. All of their traditions and customs were halted, and some were lost forever. Pol Pot wanted to start society from Year Zero, and in many ways he was successful. Cambodia is in a stage which many modern societies were in 100 years ago. They are poor, their infrastructure is lacking and they are in desperate need of educated and honest leaders. They are a country that’s actively healing and they have a long way to go. Remarkably, this story is still relatively unknown—and unpunished. It wasn’t until the past 5-7 years that members of the Organization have been put on trial. Some are even a part of the ruling government. Pol Pot died comfortably in his own bed back in the late 90s. Visitors and citizens can visit Tuol Sleng, the Killing Fields and other memorials around the country to pay tribute to those killed. Although it’s a haunting experience, it’s a responsibility for all of us to know about it. We can all learn from this tragedy, and seek to prevent something similar from ever happening again. 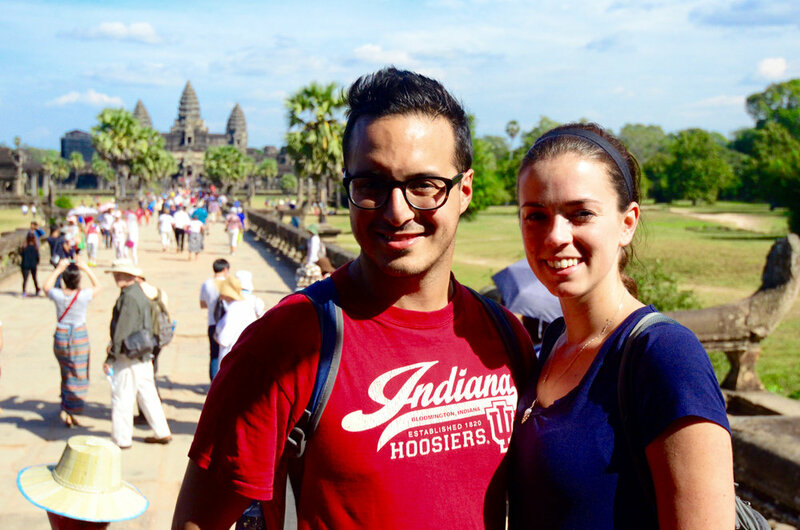 We reluctantly said goodbye to the beautiful people of Cambodia and continued on our adventure in South East Asia. 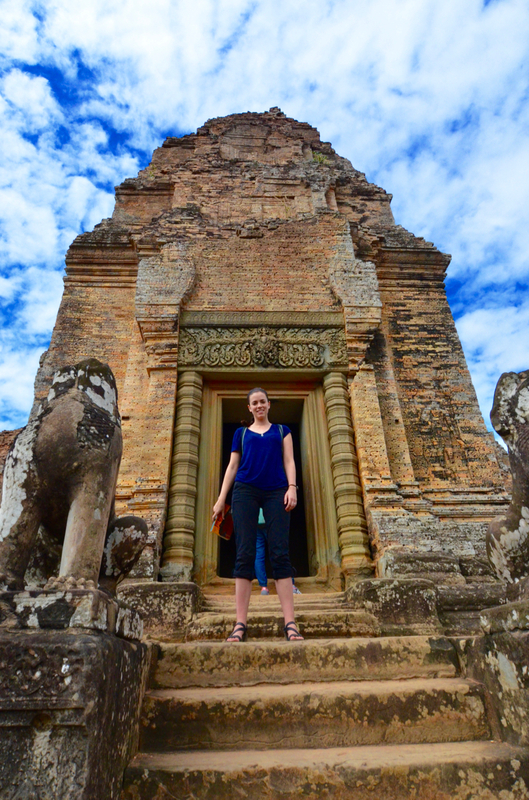 What an absolutely remarkable three weeks… Cambodia, we have a sneaking suspicion we’ll be back. P.S. If you missed it, check out our blogpost on our experience visiting an amazing organization in Phnom Penh—the Cambodian Children’s Fund, or CCF. This place is changing the lives of 1,000’s of Cambodia’s most underprivileged children.